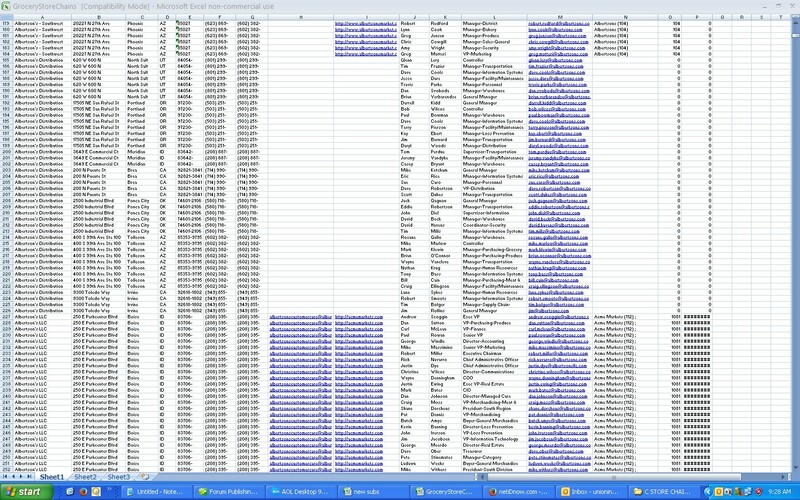 New Excel Databases Now Available! 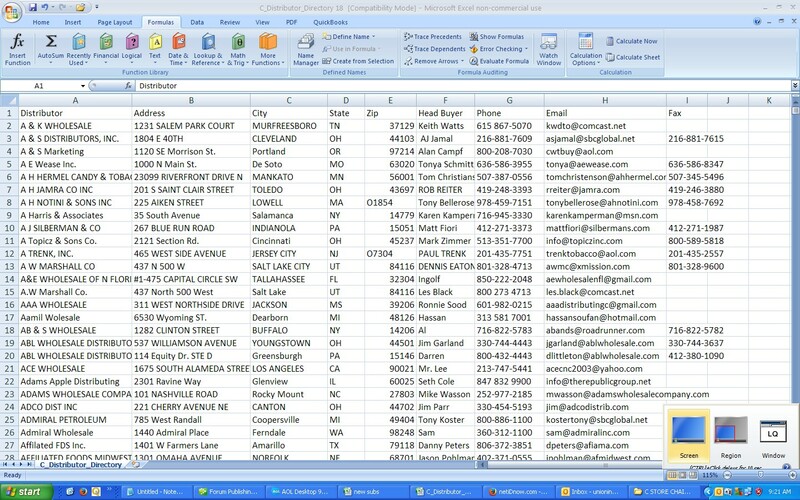 Find buyers quickly with these quality excel databases. These databases are updated regularly and you will receive the latest version via email for you to download and start using to increase your sales. Our�Wholesale Grocers/Food Service Directory�contains over 18,000 key contacts and personal information including phone numbers, mailing addresses, titles, e-mail and addresses. It includes Buyers, General Merchandisers, V.P.s, CEO's and Directors. 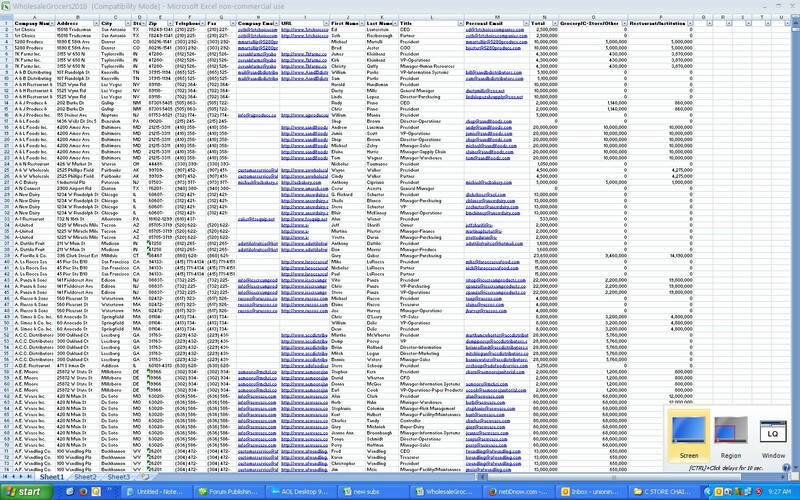 This directory is updated twice a year and delivered to you in Excel format via email.